V. at The City sells unique, handmade products. We do not apply standard delivery times, however please note that V. at The City strives to send your order within 48 hours (except the carpets, where the standard delivery time is 7 work days). You will receive a confirmation email when your order is shipped. V. at The City is not responsible for damage or loss during or after transport delivery. To the following countries we offer free shipping: The Netherlands, Belgium, Luxemburg, Denmark, Sweden, Germany, France, Ierland, UK, Italy, Liechtenstein, Monaco, Austria, Poland, Portugal, Spain, Czech Republic. Discounted shipping (15EUR) to: Bosnie, Bugaria, Estonia, Finland, Greece, Hungary, Croatia, Latvia, Lithuania, Romania, Servia, Slovenia, Slovakia. Discounted shipping (20EUR) to: Norway, Switzerland, US, Australia and all other countries not listed above. The prices are in EUR currency, including 21 % VAT and excluding shipping costs (if applies). You can pay your order by PayPal, Ideal, Credit Card, Belfinus Direct Net, KBC/CBC PAYMENT BUTTON or BANCONTACT / MISTER CASH. In case you are not satisfied with the product, within 30 working days you can return your order. Returning your order is at your own expense. 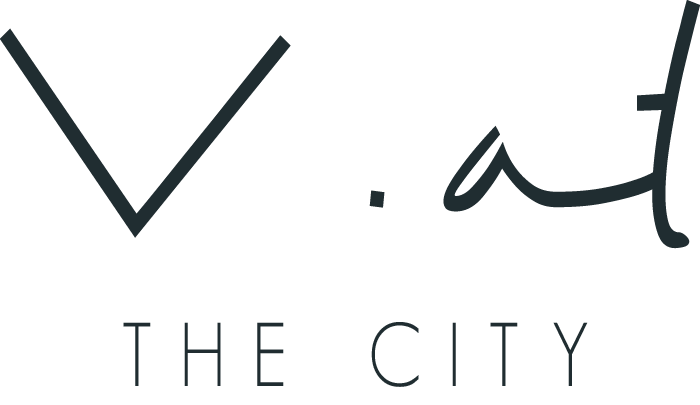 Please contact us first via info@vatthecity.com in case you would like to send back your order. Your name and address must also clearly stated on the envelope. Articles must be purchased at V. at The City. Articles must be undamaged and unwashed. Articles must be attached to the original article card. Keep the track and trace code of your package. We advise you to send the package by registered post. Unfortunately V. at The City cannot take responsibility for lost packages. Sign up to stay inspired by our blog & up to date on sales and events.